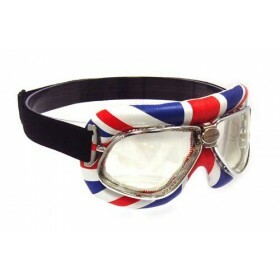 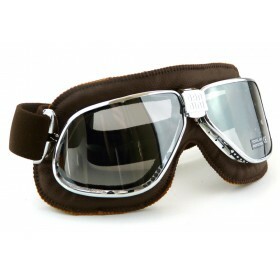 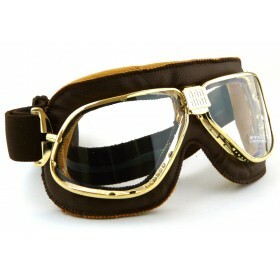 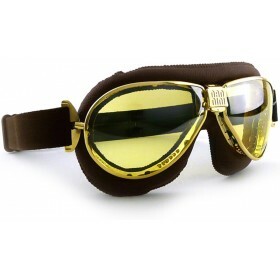 The Nannni Cruiser Motorcycle goggle has a sleek and streamline design, reintroducing the eye-drop style. 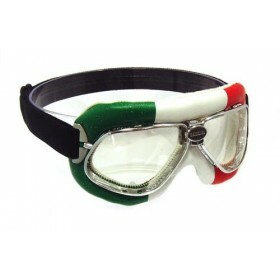 The goggles are hand made in Italy using the finest materials available with a real leather face mask that is extremely soft against the face. 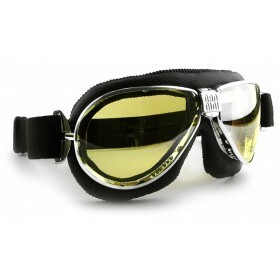 The polycarbonate lenses are fully UV protected and scratch-proof offering great visibility. 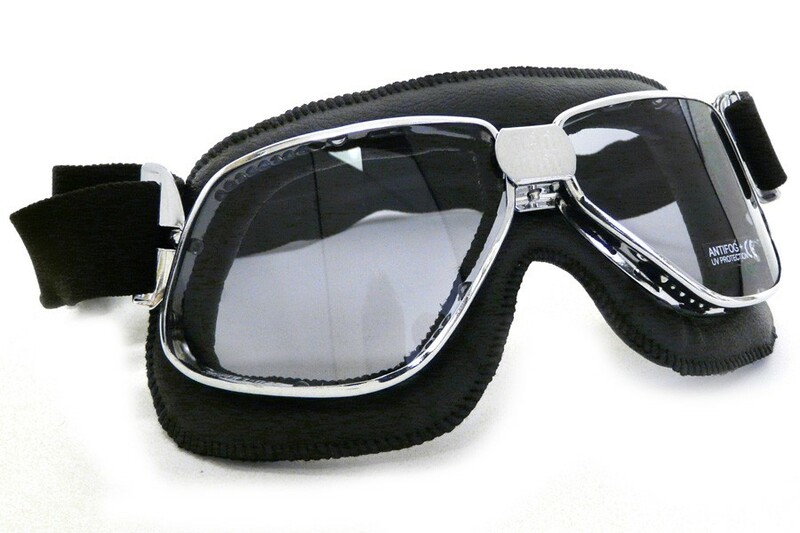 The headband has a thin rubber grip on the inside to allow a non-slip contact with the surface of the open face crash helmet.